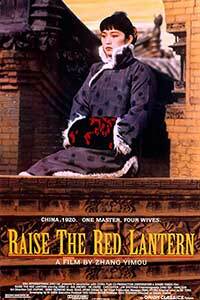 The film Raise the Red Lantern revolves around a young woman named Songlian who becomes the fourth wife of a wealthy man after her father dies. Meanwhile, she has to get along well with the other three wives and becomes his favorite so has to rule in the household. I found the script really interesting. On the one hand, we observe the relationship between the Master and the female protagonists in terms of gender and on the other hand we see the antagonism among his wives, in their effort to rule the household. As far as plot is concerned, it does a really good job at convincing us how nerve-racking this situation was. Not only does Songlian have to deal with her Master who does not seem to care about her feelings or personality, but also should be aware of the other wives, who would do everything in their power to be his most favored. Although it is kind of static if we think about setting and the script is not something a viewer might have not seen before, the customs that accompany the whole procedure of marriage make the movie an intense experience. • Songlian (Gong Li) marries a wealthy man to help support her family after her father’s death. At the start, she appears to enjoy the benefits of being the new wife, even though she feels a little awkward. But her positive impression begins to change as she realizes that everything is not the way it seems to be. • The Master (Ma Jingwu) is a rich lord who has four wives and every day decides with which he wants to spend the night. He finds tradition very important and he appears to care about his wives only as possessions, not really bothering to understand them. We never see his face, as it seems blurry. • Yuru (Jin Shuyuan) is the first mistress and the oldest one. She has accepted the Master is not really interested in any longer her because she is no longer young. • Zhuoyan (Cao Cuifen) is the second mistress, with whom Songlian gets along better. She appears to be the friendliest to her and she warns her of the third wife. • Meishan (He Saifei) is the third mistress and is characterized as a spoiled one. She occasionally causes problems to Songlian, as she feels much threatened by her. • Yan’er (Kong Lin) is a servant, who later becomes Songlian’s and she plays a substantial role in the film, as she is in love with the Master and her obsession with him leads her to constantly conspire against Songlian. • Feipu (Xiao Chu) is Yuru’s son. He shares with Songlian their love for music and generally they give us the impression of being attracted to each other, but having an extramarital affair is strictly forbidden. Performances were amazing and because of that it is hard for me to choose my favorite. 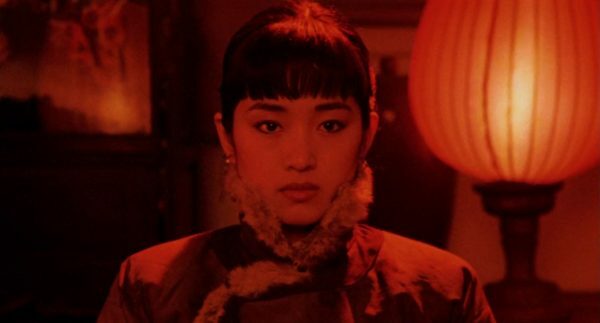 Surely Gong Li (playing Songlian) and Kong Lin (playing Yan) were exceptional, without implying that the others were not. The former was really stunning especially in the final scenes, which were the most demanding, with all the passion she showed, while Kong Lin was very good if we think about how young she was in her role at the time, which adds to her great performance. I also wanted to say that He Saifei’s voice as a singer was amazing as well, sometimes giving us the creeps. Despite the lack of change in setting, this works in a beneficial way for the plot concept, because it successfully conveys the constraint of the lives of the mistresses. Directing was amazing towards the end, when we hear the third mistress singing, which was a combination of spooky and epic. Cinematography relies much on interior design, such as curtains or the red lanterns, around which everything refers, impressive traditional costumes and Chinese aesthetic. But for the intensity of the movie, the end is not a surprise, but it is liberating. It is actually a back to square one ending and I liked its similarity with the first scene. A woman becomes the fourth wife of a wealthy lord in 1920s China after her father dies and must deal with the politics and domestic intrigue associated with a household that includes four jealous wives vying for the attention of a Master who only sees them as objects in this stunningly filmed romantic drama. 'Raise the Red Lantern', from 1991' was seen as one of the opening salvos from China in rebuilding their international reputation after 1989's violent Tiennamen Square protests that resulted in over 10,000 deaths.